When Windows 10 rolls out in 2015, it will come with native support for several exotic file formats, including MKV, FLAC, and HVEC. Microsoft decided to bring some of that container magic to Windows 8.1 recently with the introduction of native support for MKV files via the Windows Store Video app. Why this matters: Unless you’re big on pirated movies, chances are you’ve never run into the open standard Matroska Multimedia Container format (MKV). DivX says MKV is becoming the file extension of choice for high-definition video—the company uses Matroska as the container for DivX Plus video files. It’s also important for Microsoft to support as wide a range of formats as reasonably possible. The company doesn’t want to give users too many reasons to use free alternatives like VLC. 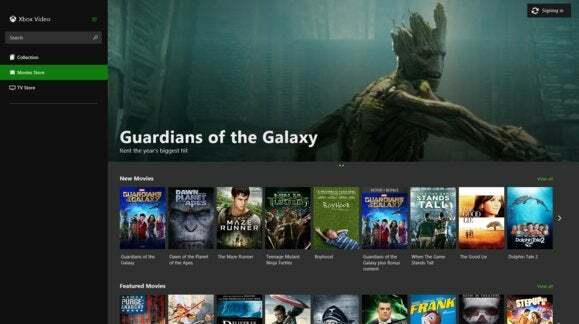 Other video players take users away from built-in Windows Store apps and their accompanying content stores like Xbox Video. MKV files have a few things going for them compared to other formats. Matroska works with a wide range of codecs (the kind of audio or video contained within the MKV file such as mp4 or h.264), and it has strong support for rich media features like subtitles and chapter points. Microsoft says the updated Video app will only playback MKV files that use a codec supported by the app. If you’re curious about codes, you can find out which ones your system supports by opening Windows Media Player and going to Help>About Windows Media Player. In the window that opens click the Technical Support Information link, which opens a browser tab. Scroll down the page until you see the Video codecs heading.